CMON has shared information on several new games releasing in the second half of 2017. 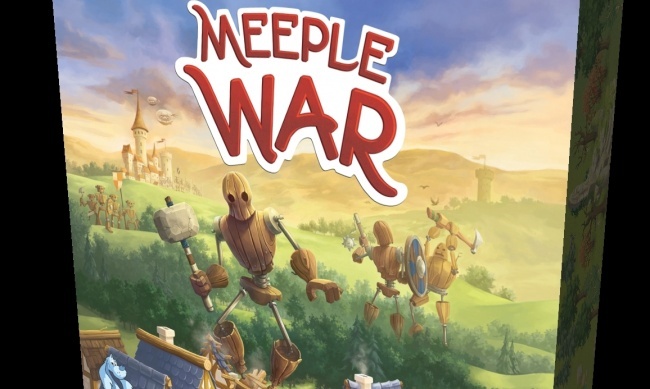 Meeple War is a worker placement / area control game set in the four kingdoms of Lilliput. To Lilliputians, meeples are giant battle golems used in war. Players take control of one of the four kingdoms, and construct massive war meeples and send them out to explore territory and invade opponent’s land. The first player to reach six victory points wins. The box contains 52 wooden meeples, 40 double-sided buildings, 16 workers, 4 village enclosures, 4 village gates, 4 reputation mountains, 4 depots, 36 double-sided territories, 5 territory upgrade tokens, 1 bravery point ladder, 1 hammer token, and a rulebook. The game is for 2 – 4 players, ages 14 and up, and plays in 30 – 60 minutes. MSRP is $39.99 Release is planned for September 29. 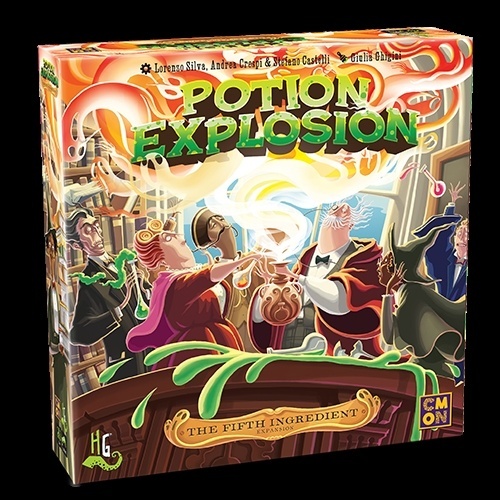 Potion Explosion: The Fifth Ingredient brings a new substance to the classroom– ghost ectoplasm. This new potion works as a wild ingredient for completing potions (and explosions). The expansion also brings four new potions, professor tiles, a ghastly cauldron and more. The box includes, 7 professor tiles, 32 potion tiles of 4 kinds, a ghastly cauldron board, 15 reward tokens, and 15 scolding tokens. The game is for 2 – 4 players, ages 14 and up, and plays in 30 – 45 minutes. The core game is required to play (see “Lorenzo Silva's 'Potion Explosion' Gets U.S. Release”). Release is planned for Q3. MSRP is $29.99. Andres J. Voicu’s 13 Clues will get a U.S. release through CMON in Q4. This deduction game casts players in the role of Scotland Yard detectives in the year 1899, right in the middle of a crime wave. 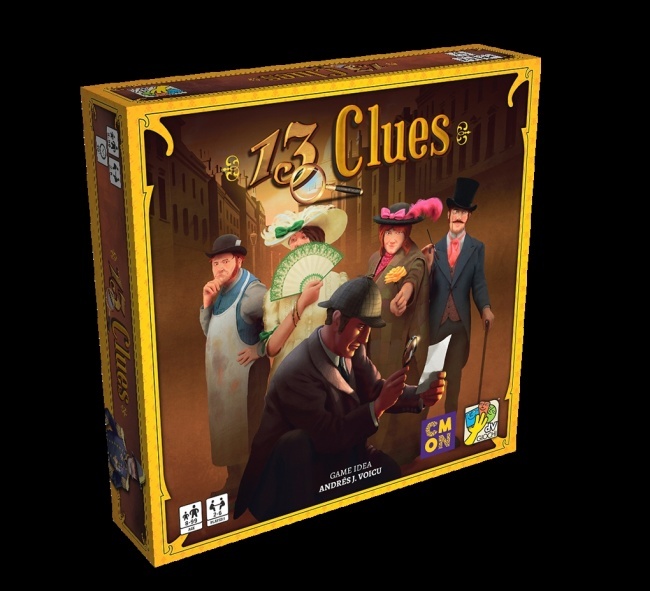 Each detective has their own mystery to solve, identifying the culprit, the scene of the crime, and the weapon used. Players collect and spend magnifying glasses to ask questions of the other players, to narrow down options for their own case. The first to correctly solve their case, wins. The box includes 30 clue cards (10 persons, 10 locations, 10 weapons), 6 hiding screens, 6 pencils, pad of casebook pages, 8 magnifying class tokens, 8 letter tiles, 6 top secret tokens, and a rulebook. The game is for 2 – 6 players, ages 14 and up, and plays in 30 minutes. MSRP is $29.99. Dream On is a collective storytelling game where players create a shared dream. Working together using Dream cards, players have 2 minutes to create a dream story. When the timer runs out, they have to remember what happened in their dream story, in the correct order. Points are scored for getting the details correct. After everyone has told their story, the score is tallied up, and the group sees home up of their collective dream they recall. The box contains 156 Dream cards, a two-minute timer, 3 scoring cards, and a rulebook. The game is for 2 – 8 players, ages 7 and up, and plays in 15 – 20 minutes. MSRP is $19.99. 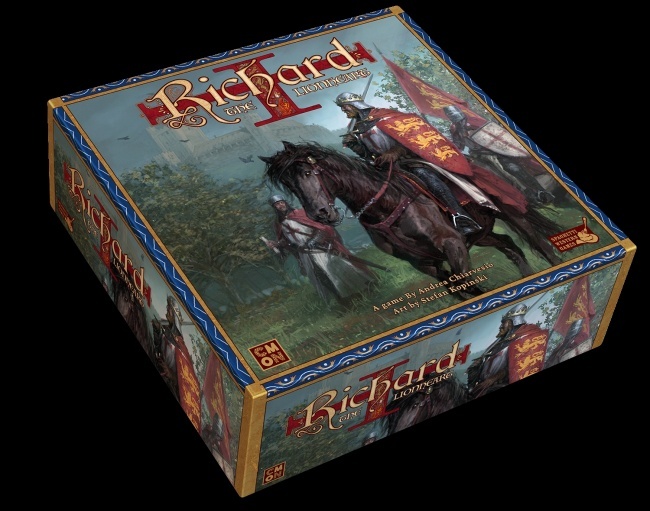 Richard The Lionheart is a medieval political influence game designed by Andrea Chiarvesio (Kingsburg, Hyperborea, Kingsport Festival). Richard the Lionheart has been summoned to the Middle East for the Crusades, leaving a power vacuum at home in England. John Lackland is trying to take over, working with the Sheriff of Nottingham. On the opposing side is Robin Hood and his Merry Men. Players ally themselves with a side, and travel across England, trying to earn Prestige points, and influence the Crusades from afar. Will Richard return home, or not? The box includes, two game boards (Britain, and a Crusades board), 16 plastic miniatures, 10 character dashboards, 240 influence cards, 15 edict cards, 18 event of the crusade cards, 6 player aid cards, 7 faction skill tokens, a first player token, a reserve board, a game round token, 6 ship tokens, 60 coins, 60 prestige point tokens, 6 house tokens, and a rulebook. The game is for 2 – 6 players, age 14 and up, and plays in 60 minutes. MSRP is $69.99. Release is planned for Q4.